The store has a unique look and feel as it still holds a lot of the original flooring and linings of the old Wharf sheds. Iceman Whakatane is the main supplier of Ice for the Eastern Bay of Plenty, we manufacture and supply Party Ice and Salt Flake Ice to the community, local businesses and commercial fishing fleet. We do Party Ice in 3Kg bags and Salt flake ice in 5, 10 and 30Kg bags, or by the tonne. However you want it, we can make it. 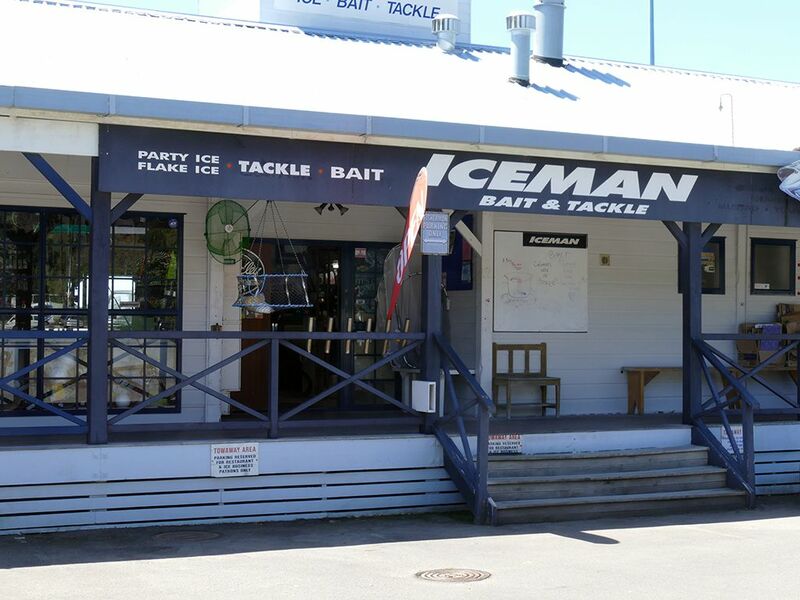 Iceman Whakatane is also a big supplier of Bait with the biggest and best selection in town, we also have a big range of Fishing Tackle in store and online to cater for almost all needs. We are situated right on the wharf and the last stop before getting to the Whakatane boat ramp, we have plenty of room for parking even with the boat attached.